"At the end of the day, it's a heavy metal and it's not something that I want to have in my mouth anymore. It's been there long enough and I don't know what it's been doing to me and I would quite like to get rid of it." After feeling lethargic for some time, keen runner Ruth Goodwin began to wonder if the mercury amalgam fillings in her mouth could be contributing to her ill health. She was prepared to pay up to £3000 to have them removed along with a six-month detox. During the process, her dental team needed to wear gas masks to protect themselves from the increase in mercury vapours that could come from the drilling process. Best-selling author Terry Pratchett, who was diagnosed with Alzheimer's Disease last year, has also paid a small fortune to have his mercury amalgam fillings out. Although there is no conclusive scientific proof, he tells Tonight that he believes they may have contributed to the onset of his disease. The Alzheimer's disease trust says it would fund any serious research into a link. He says: "For me it was a no brainer. Having something like mercury in your mouth, no matter what the small print said seemed to me to be a really bad idea, and since I could afford it, I got rid of the stuff." Mercury fillings have been used for more than a hundred and fifty years. Two million of them were fitted in the UK last year alone. And the NHS and many dentists say that they are perfectly safe even though controlled studies show that these fillings give off minute amounts of mercury vapour into the mouth which is then retained in the body. However, increasingly, a highly contentious scientific debate has arisen over whether long-term exposure to these minute vapours could be harming some people's health - an argument that has prompted both Sweden and Norway to this year take the precautionary measure of banning this kind of filling. According to the European Commission: "The largest source of mercury exposure for most people in developed countries is inhalation of mercury vapour from dental amalgam." And last summer, the US health regulator changed decades old advice describing mercury amalgam fillings as harmless to say that they may have neurotoxic effects on the nervous systems of developing children and foetuses. Some experts believe there could be restrictions on their use in the United States by this summer. 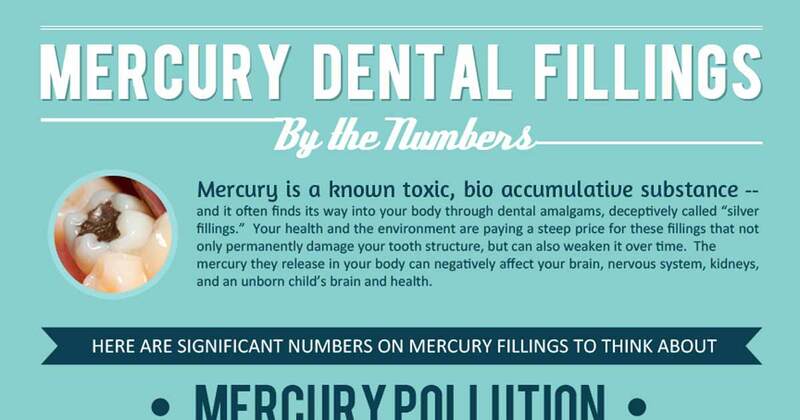 But in the UK, because they believe mercury amalgam is perfectly safe, most dentists do not proactively tell a patient about this scientific debate. And a patient must independently approach their dentist and pay for it privately to have them removed. In this programme, Morland Sanders meets some medical professionals who believe that amalgam fillings should be banned or that patients should at least be informed and given a choice as to what filling material is used. He questions the British Dental Association and the chief dental officer for England on why they have stuck by their position that mercury amalgam fillings are safe. And he meets the patients who believe their health has markedly improved since they've banned the metal from their mouth.